Nine people are dead and one was seriously injured after a shooter opened fire inside a restaurant in Uherský Brod. According to witnesses, about 25 shots were fired. Gunman barricaded himself inside the building and later took his own life. 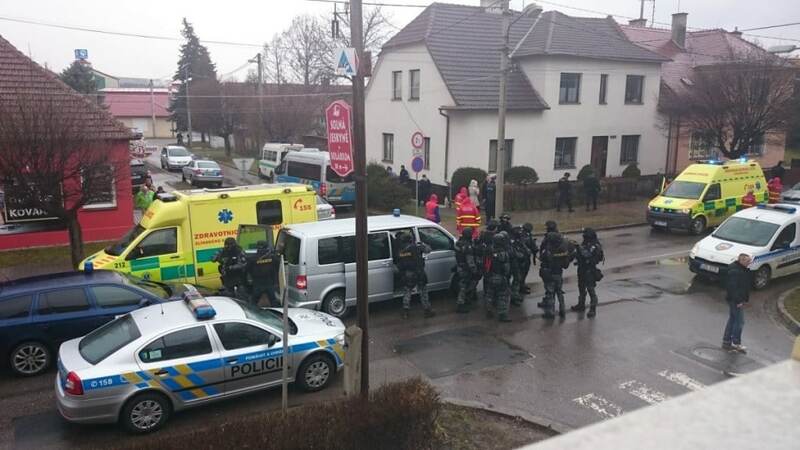 Authorities were called shortly before 1 am on Tuesday to an active shooter who barricaded himself in a local restaurant in Uherský Brod, a town of approximately 17 000 inhabitants in the south-east of Moravia. Police closed surrounding streets and advised people to stay inside their homes. Standoff lasted for about 2 hours, rapid reaction unit made entry around 3 pm, finding 8 hostages and gunman dead. According to the town’s mayor Patrik Kunčar, shooter was a 62-year-old Zdeněk K. – mentally ill man, who was also a firearms license holder. The suspect lived nearby and had no prior arrests. “Like most people right now, I am shocked by the tragedy which took place today in Uherský Brod. I want to express deep sorrow and sincere condolences to the families and relatives of victims,” Czech prime minister Bohuslav Sobotka stated. President Miloš Zeman also expressed his condolences.